As the United Malays National Organisation (UMNO) growls like a wounded tiger about its setbacks since the general elections in March, former deputy prime minister Anwar Ibrahim is almost like a vulture, waiting his chance to pound at the best opportunity he has had in more than a decade. Two months have passed and one would expect even losers to move on, but UMNO's leaders have been openly engaged in the blame game, and this is true especially among those who are no longer in government. 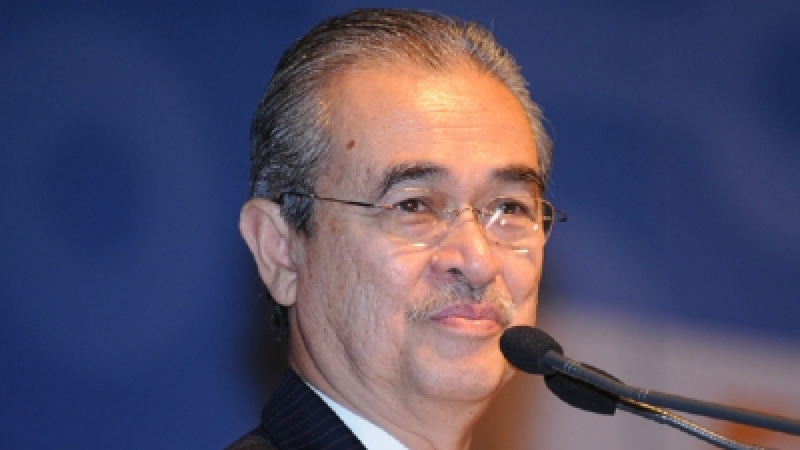 The person who appeared to be the most noisy of all is former strongman Dr Mahathir Mohamad, whose attack on his handpicked successor Abdullah Ahmad Badawi turned more venomous after the elections. Even before the elections, Abdullah was blamed for everything, never mind that most of what Mahathir accuses Abdullah of, such as stifling dissent and encouraging hero-worship of top leaders, was more typical of Mahathir's era than it is of Abdullah's. After all, about five years ago, it was unimaginable for the media to give air-time to anyone calling for "leadership change", a phrase which now implicitly asks for Abdullah to step down, without being prepared to pay a heavy price. Nowadays, the call for leadership change is so routine that it is no longer perceived as a threat. When the ruling coalition took a severe beating, losing its two-thirds majority in parliament and five states on March 8, Mahathir saw it as the best chance to replace Abdullah with someone who can at least protect his interests, many which are in the form of development plans and projects linked to his cronies. Mahathir's rants reached a climax when he was challenged at an anti-Abdullah forum on May 19 to quit UMNO altogether. Not known as a man to take a dare lying down, Mahathir immediately announced he was giving up his membership of UMNO until Abdullah resigns. What initially seemed a serious blow to Abdullah's government backfired, as almost no prominent member of UMNO, the party which has dominated Malaysian politics for more than fifty years, followed suit, except for members of Mahathir's own family and a group of loyalists who had shared power with him when he ruled. All but one past prime ministers have quit the ruling party upon retirement, and gone into oblivion from the political scene. Whatever the initial shocks that Mahathir created by this gestureseem to have died down sooner than he had expected. Mahathir's greatest fear is, of course, the likelihood of being portrayed as another Suharto, whose claimed legacy of having brought some form of ‘development' to Indonesia has been erased by numerous inquiries into his massive corruption, as well as murder and torture of opponents to his rule. That likelihood inched closer to reality when an inquiry called by Abdullah into allegations of judicial corruption named Mahathir as one of five culprits who should be prosecuted under various laws. Even bitterer than this was the fact that a video-tape showing how Mahathir's personal lawyer was in conversation with a top judge over judicial appointments, which triggered the inquiry, was first released by Anwar Ibrahim. Abdullah may be relieved that opponent extraordinaire Mahathir is now out, but the political pressure is far from over. Anwar's continuous efforts to "secure the numbers" needed in parliament to topple the UMNO-led federal government – namely by making government MPs or component parties switch alliance to the Anwar-led People's Alliance – always form the backdrop to every political decision of Abdullah's. The pressure that this could happen, despite the possibility that Anwar is bluffing, is something new to Malaysian political behaviour: nobody is holding his breath over what is going to happen one, two, three or more months from now. That is not to say that Anwar is able to control the government's decisions, although Abdullah's government has been clearer in showing that it means business in weeding out corruption. 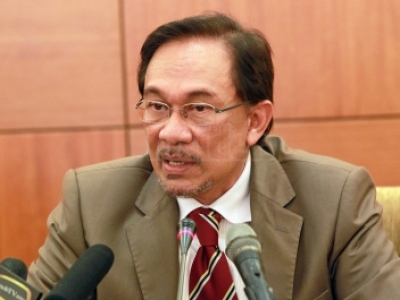 Recently, there have been rumours that Ezam Nor, Anwar's most loyal friend, who helped found the People's Justice Party as well as leading the reformasi movement during its infancy, might re-join UMNO. It seems that quitting and rejoining UMNO is no longer surprising behaviour, and the oft-repeated claim that UMNO leaders come and go but the party remains strong now seems to have some truth. With Mahathir now gone, there is no strong evidence to suggest that UMNO is a sinking ship, even though it is made out to be so despite losing fewer seats than any of its fellow parties in the ruling coalition. Anwar, having been at its helm for many years, probably knows the secret of UMNO's staying power, which is why he is taking his time to form the next government, despite claiming that he has enough defectors. He appears to be in no hurry; this did not change even when Mahathir tried to put immense pressure on Abdullah to step down by announcing he was no longer a member of UMNO. "We must avoid being trapped by personal agendas to replace weak leaders with corrupt ones," said Anwar in a recent blog posting. Even if government MPs switch sides, it is difficult to conceive of a government devoid of UMNO at this stage without serious consequences and instability in a country which has been politically one of the most stable in Asia. For one thing, despite forming coalition governments in various states, it is difficult to say whether any one party among the opposition, including Anwar's, can play the role of a dominant party such as UMNO has been in the ruling coalition. That dominance, for all its flaws, has managed to draw a middle line and counter the extreme demands of Malaysia's multi-religious voices. The Islamic Party (PAS) is at loggerheads with the ultra-secularist Democratic Action Party (DAP) over several policy matters involving Islam and Muslims. Anwar might have achieved some success in bringing them together at a leadership level, but ultimately it is ordinary people, and not party leaders or members, who will judge who the losers are in the political pact forged among the opposition parties. One thing for sure is that Anwar's ambition to occupy the number one spot is now coming out more clearly. Even when he was almost forgotten during his six years behind bars, no one seriously discounted his possible return to the government to fulfil his prime ministerial ambition. 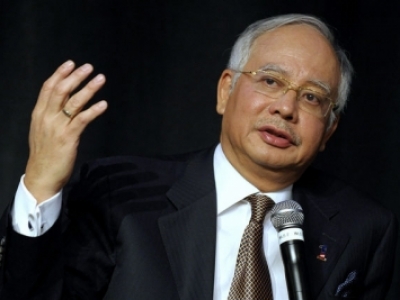 The greater surprise will be if he does manage to move the route to the premiership to outside UMNO, and stabilise the ongoing upheaval in Malaysia's crowded political scene. If Anwar's triumph can put the wounded tiger to sleep, it will be a great achievement, both for Anwar Ibrahim as a person and for Malaysia.